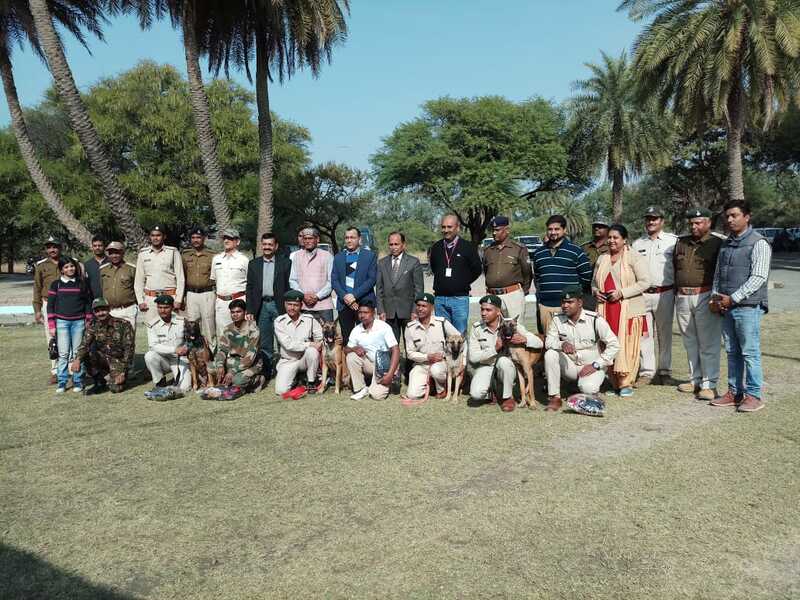 Further Belgian Malinois dog teams, have just completed their anti poaching training and will now be working in forest areas of Madhya Pradesh. Max, Sheru, Chum and Tyson,along with the other dogs we have funded, will continue to patrol the forests, to reduce poaching and solve wildlife crimes. 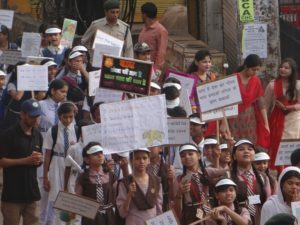 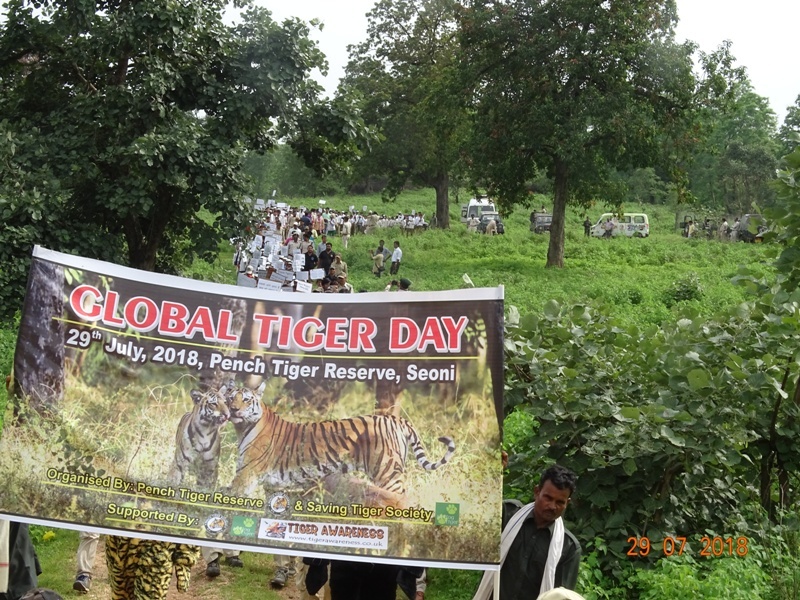 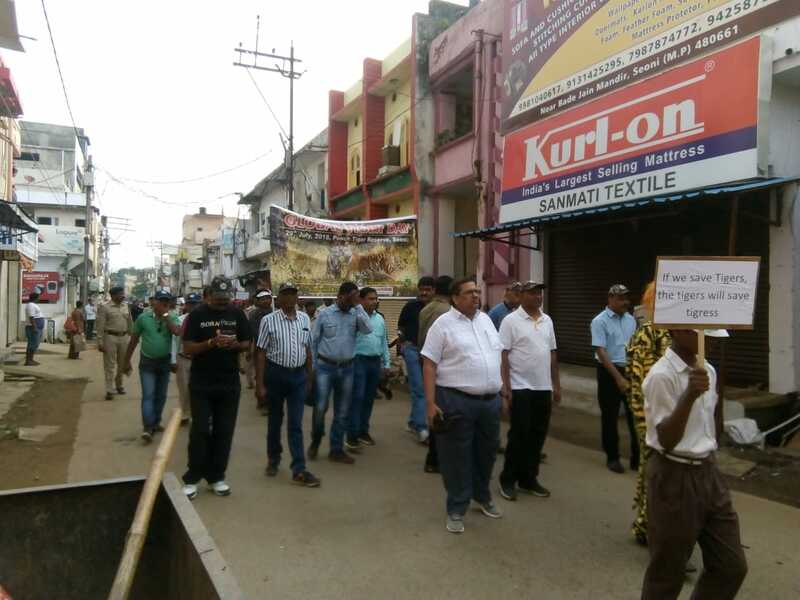 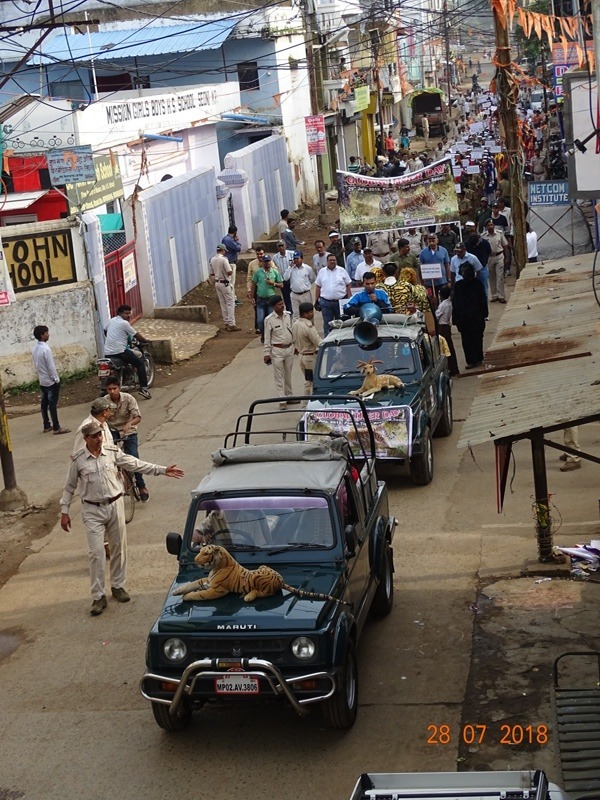 Global Tiger Day, July 29th 2018, we supported a rally with our partners Saving Tiger Society and the forest dept in Pench. 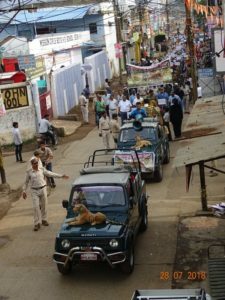 MP, India. There was around 1200 people take part in the 2 locations in Seoni and Khawasa range, we are also supporting work in the area for animal squads, that have stopped man-animal conflict, electrocution cases and herbivore crop raiding in Pench buffer areas.We have also funded boundary walls around open wells in the area and an anti poaching dog, that are reducing wildlife deaths over the last 3 years. 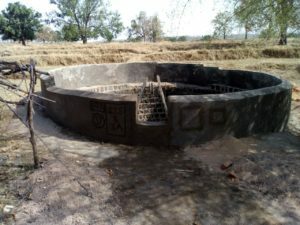 around the open wells in the area, over the last 3 years. They are proving to save wildlife and human life. 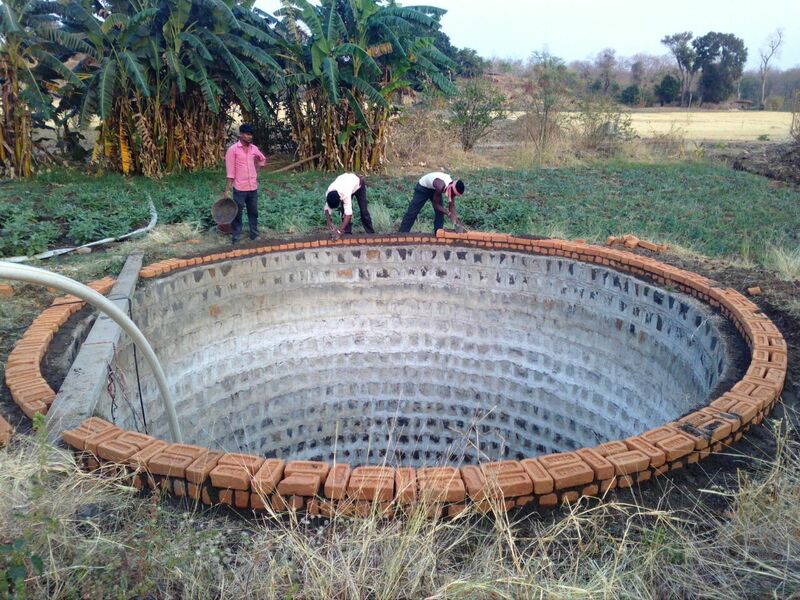 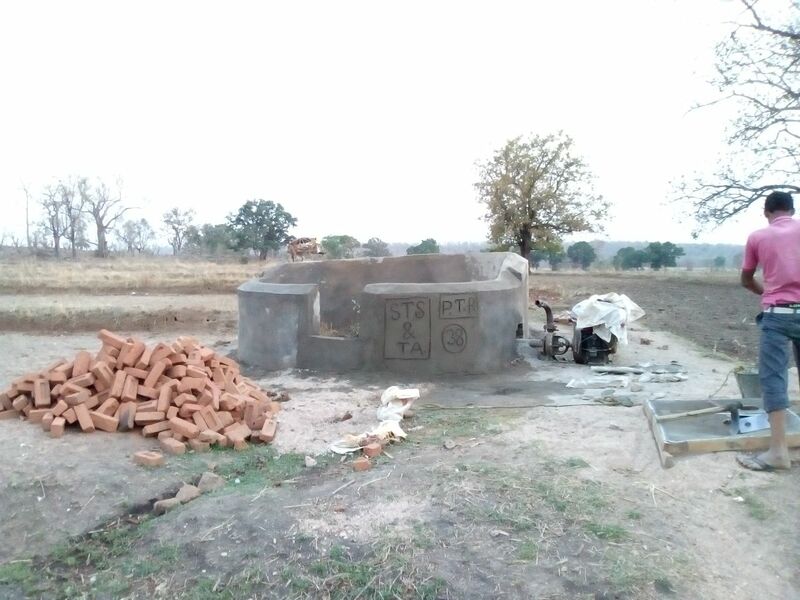 This month we have started to build more boundary walls around open wells in the Pench area, we have also started a further 2 anti poaching dogs pups in training, once their nine month training is completed, they will work for the Madhya Pradesh forest department. Update on Anti Poaching Dogs In India. 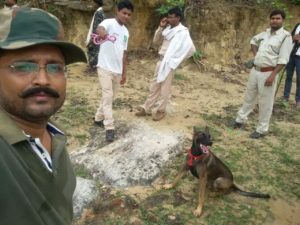 The Four Belgian Malinois dogs we funded, have completed their training in May 2017 and are now working in Tiger Reserves of Madhya Pradesh. 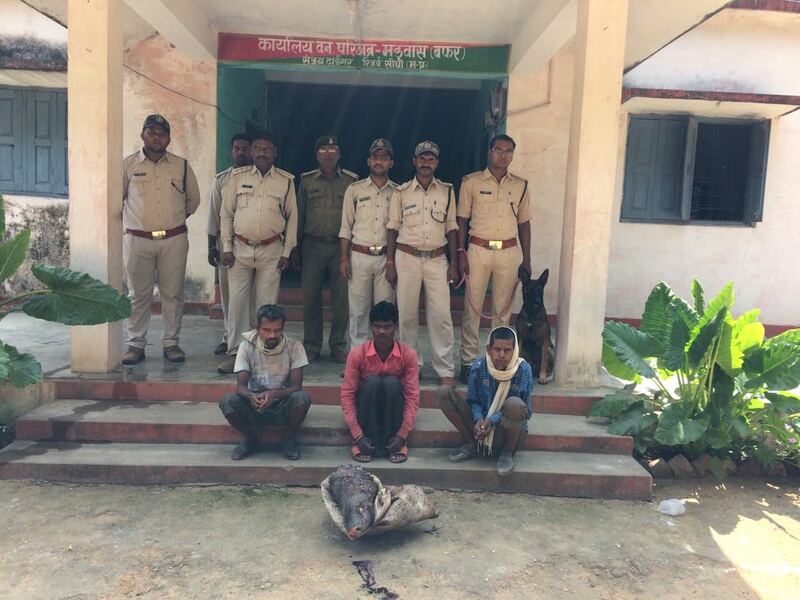 They have helped catch poachers with the team and are reducing poaching, we have started two more in training recently and they will also be working in Tiger Reserves of Madhya Pradesh. 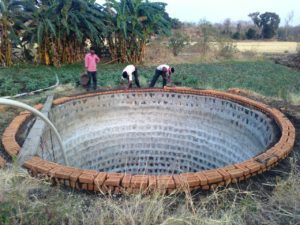 We hope to be able to fund 2 more later in the year. 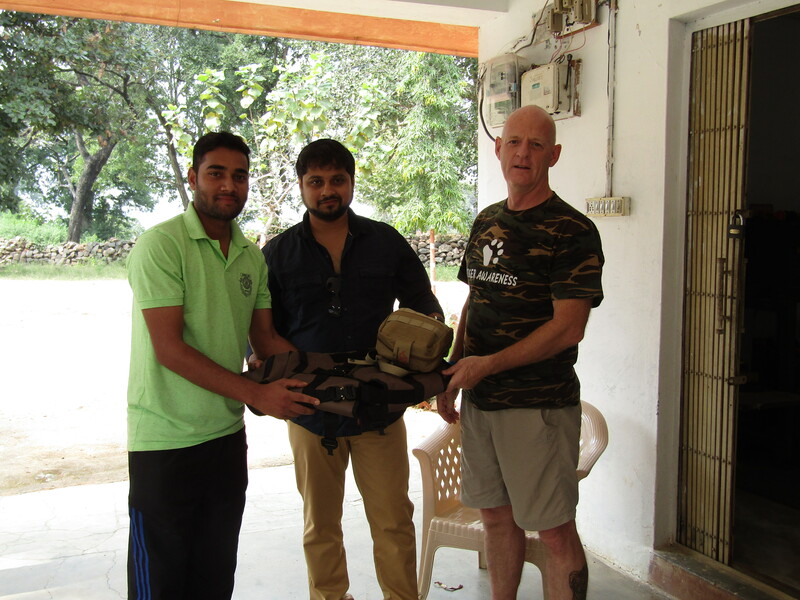 Giving protection vest and K9 first aid kit to Pench dog handler. We visited India in October 2017, to see the work we had supported. 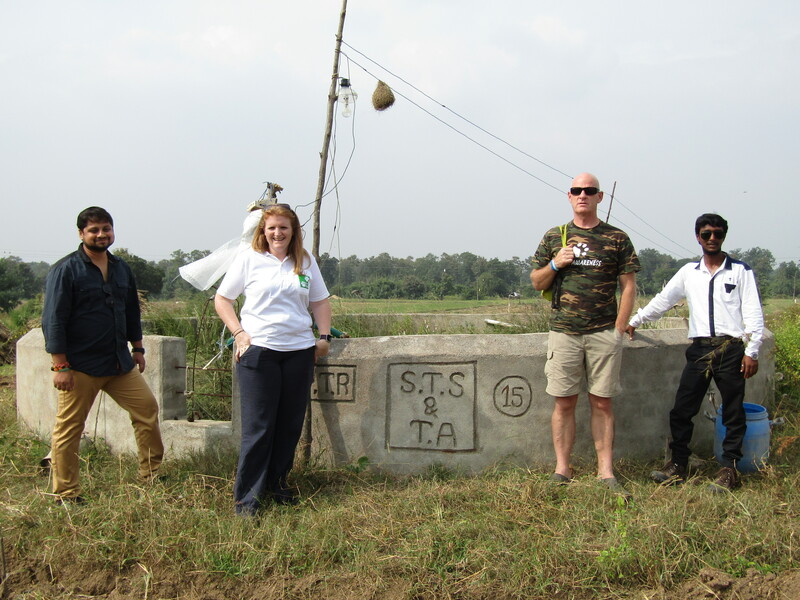 First, we visited Sundarbans, the school project area, solar lighting and Sundarbans area. We then moved onto Pench Tiger reserve, we visited one of the Belgian Malinois anti poaching dogs we had funded their, we gave a protection vest and updated K9 first aid kit to the handler. 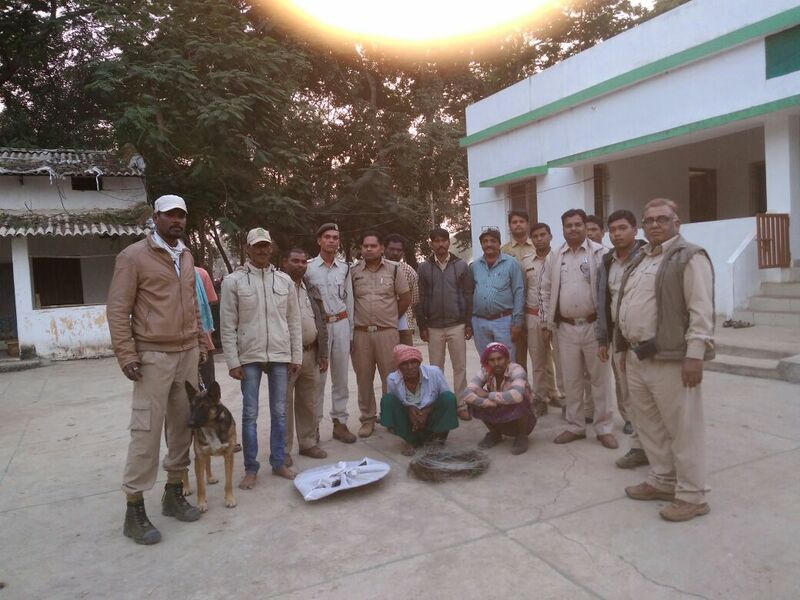 The dogs are patrolling in the morning and in the evening, they also keep updating their training in the field. 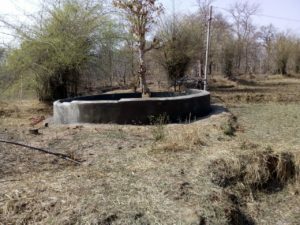 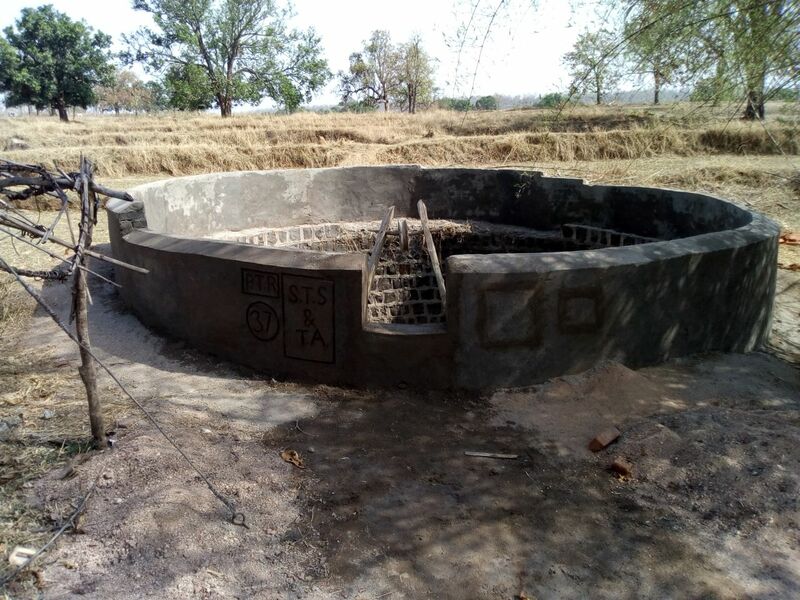 We also visited one of the boundary walls we had funded around the open wells and the animal squads in Pench, they are helping reduce crop raiding and reducing man-animal conflict, there are four teams. We have been very busy working with our partners, Saving Tiger Society in this year. 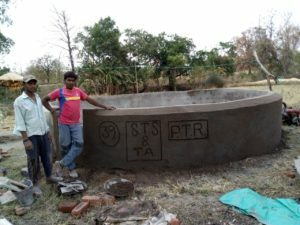 We have supported further boundary walls around open wells in Pench buffer area, 2 animal squads that patrol crop fields to reduce crop raiding and man-animal conflict, also diving equipment for forest staff, to reduce illegal fishing activities in the area.We have supported forest staff in Kanha with cattle caretaker program/ torches and Global Tiger Day support. 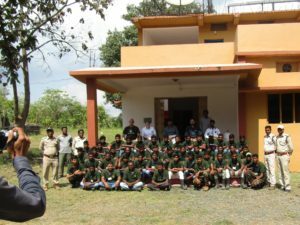 Our largest project of the year, has been to fund 4 Belgian Malinois dogs, that are triple role anti poaching dogs, now working in Tiger reserves of Madhya Pradesh , we hope to fund 2 more later in the year. 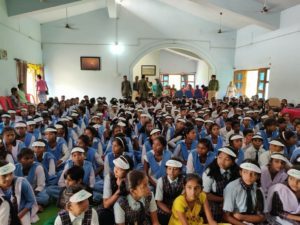 In the Sundarbans, the school is in its fourth year from foundation level to year 10, the students also get visits to forest area. 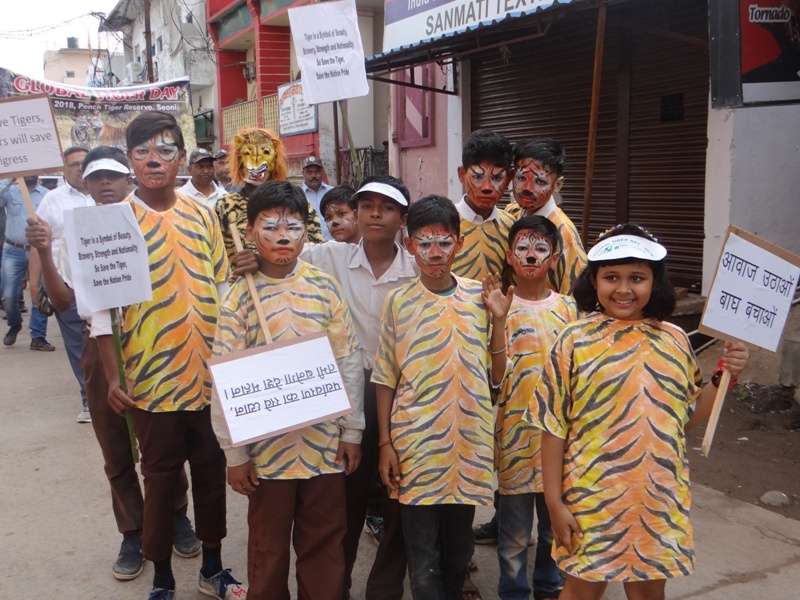 We are supporting work in 9 villages for Tiger Squads, which they will shortly be in there fourth season and there has been no conflict in the villages, great work by team and forest staff. We have also supported the villagers with solar lighting and medical camps, more recently a villager from one of the villages we are supporting, lost a male member of the family, whilst crab collecting to a Tiger away from his village, we have given fund support to the wife and daughter left behind, as we have done to other families who have lost family members to Tiger conflict, whilst trying to earn a living away from their homes. 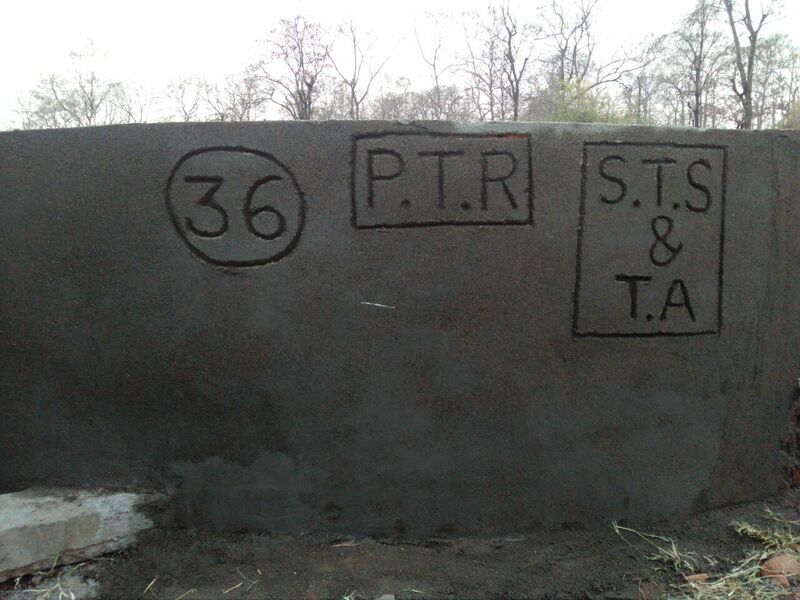 We are looking to support forest staff for future with necessary footwear and medical kits in the field. 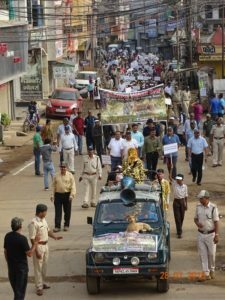 Tiger is critically endangered, rx there are approx 1000-1200 left in India. 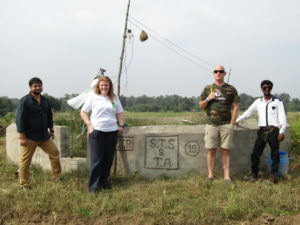 We have supported work in India for many years at ground level, we are a hands on organisation. 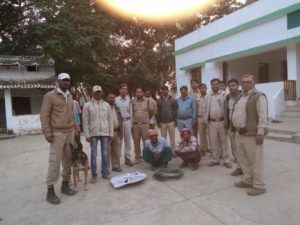 We have supported work in Bandhavgarh – man animal conflict, supporting forest staff with equipment. 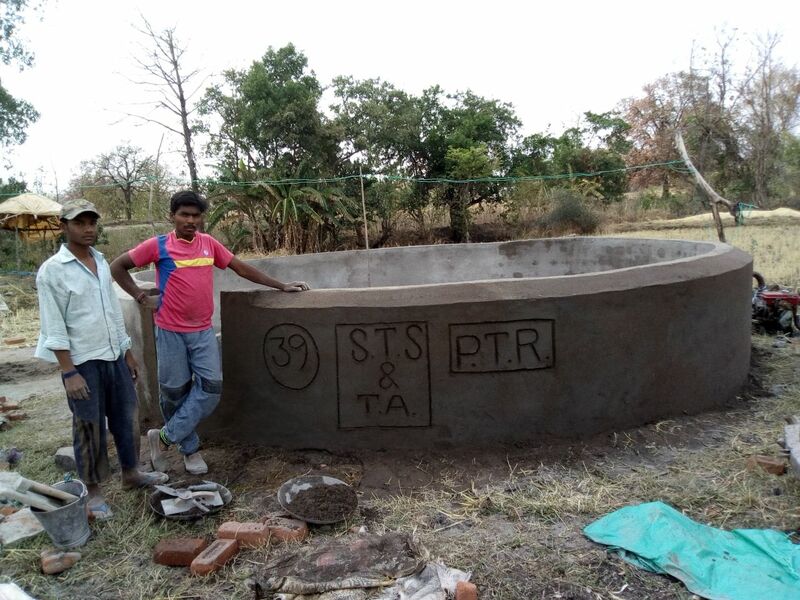 Ranthambhore – supported forest staff with equipment, also computer education in a village on the periphery of park. We are supporting nature education in Dudhwa and we have been working with Saving Tiger Society for three years, we have recently built a nature/art education institute in Sundarbans, with over 150 children involved, also recently, we have also supported forest staff in Sundarbans. 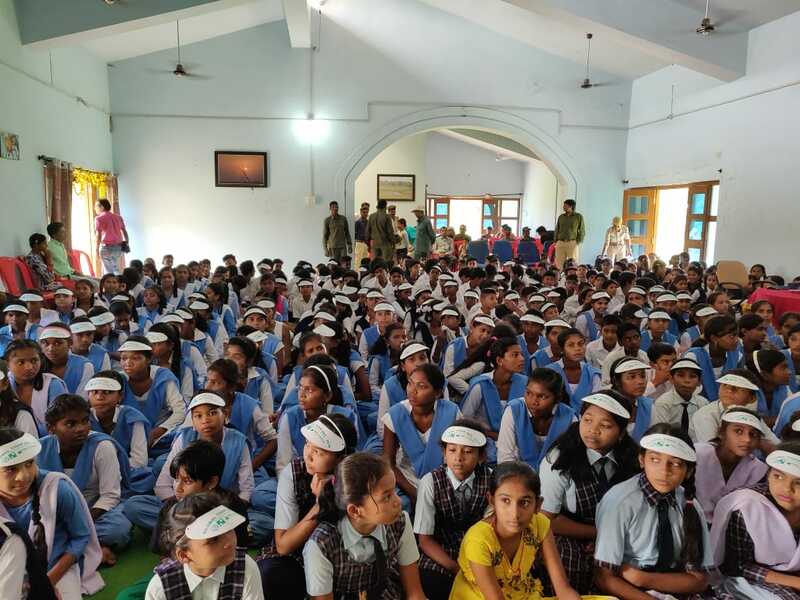 We believe it is critical to work with local communities via education and awareness to help reduce conflict and benefits of conserving habitat and wildlife.